Lily Pebbles explores the intrecacies of female friendships in her book: The F Word. Historically, women have been depicted as enemies - take the standard Rom-Com which normally plays women against each other as they're fighting over a man (sigh). Lily takes an honest and raw look at female friendships. From the very beginning of a new friendship to how they evolve over time as friends go through different life stages as individuals (marriage, children, careers etc). Lily provides a captivating insight into her own personal experiences with friendships, covering a broad range of different dynamics such as toxic friendships, long-distance friendships as well as sisterly friendships. This book is a must read! Whilst there have been many progressions in the female movement over the last century, there are still societal aspects of daily life which continue to influence women and how we think and behave. Naomi Wolf tackles the neverending cycle of hope, self consciousness and self-hatred when it comes to the pressures of being 'flawlessly beautiful'. 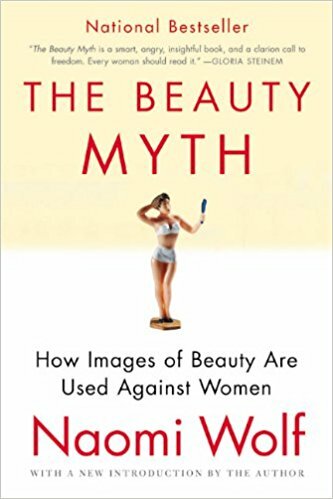 Naomi Wolf tackles the idea of physical perfection, 'The Beauty Myth', as she labels it, and explores the dangerous impact on women of our generation. She further unravels The Beauty Myth and empowers women not to let society's images of beauty affect their own self worth. This beautiful book is about the story of a young woman having grown up in a remote village in northern Pakistan. When Taliban took control she was shot in the head and wondrously survived. This took her on the journey from a place of global terrorism all the way to New York fighting for the female right to education becoming a leader of peaceful protest and youngest nominee for a Nobel Prize. An absolutely moving and empowering story re-igniting hope for millions of women all over the world. "A guide to unleashing the wise, wild woman within" is the subtitle to this inspiring wake-up call. It is a call to arms for all women to trust their power, wisdom and right to leadership. Setting an end for women to try making it in a "men's world", but to rise up and shine their light. This book is full of tools, questions, rituals, and exercises challenging the free woman in everyone. I is about healing ourselves and consequently healing the world. With this pretty self-explanatory title, there is not much to pre-empt. You may have heard this sentence before since it flooded the Internet after Chimamanda Ngozi Adichie's popular Ted x Talk. This a personal essay on what it means to be a woman today, in a world of masked sexual politics and inequality, emphasizing why feminism is still so inevitable and why everyone should be part of it! Jessica Valenti explores the issue of virginity and the damaging effect it has on young women growing up in the 21st century. It focuses on the culture in America arguing that the value of women is based solely on their sexual behaviour. It also touches upon the importance of race and sexuality when it comes to The Purity Myth arguing there are different prejudices surrounding sexual behaviour for different identities. Valenti ultimately encourages young women to seek out resources to broaden their education and spread the word on The Purity Myth through activism. A dip into the history of feminism, how it sparked and merged in the early 20th century and continued to grow. Even though we have come a long way and have reached so much, this book is questioning the progress we have made so far. How long is the road still in front of us? How can we get there? Subtitled "The rise of the fourth wave of feminism" it initiates a new era of fighting for equality and is a call to all women out there. The "fourth wave" of feminism. In resistence of the 2016 presidential election Danielle Barnhart and Iris Mahan have put together a powerful squad of modern feminist poets to stand up against misogynistic authorities rising to power. They are opposing the shocking step back in history by supporting Planned Parenthood and the Center for Reproductive Rights and empowering women with their art and continue to strengthen the female bond. This is a book helping you to embrace your imperfections and weaknesses by shining the light on these terms from a different angle. If you think of them as vulnerable ways to connect and open up to others it can turn into something inexplicably beautiful. Dr. Brown is showing that we need to stop pressuring ourselves with social stigmata and standards we would not even expect from others. A really self-empowering must-hear! 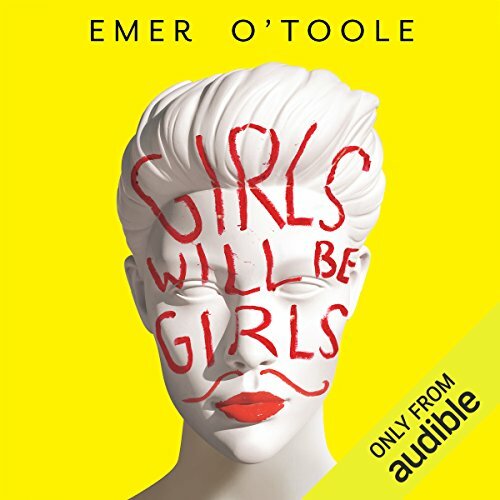 Emer O'Toole is exploring the reality of female prejudice and cliché'd ideas of girlhood. What does it mean to act like a girl? 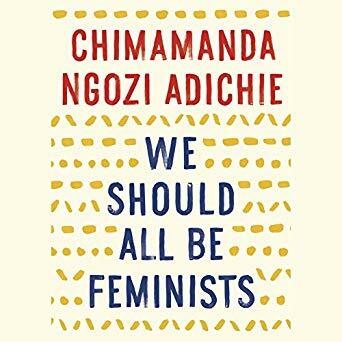 With her thought provoking and humorous writing style, this book will leave you questioning the way you think about gender, realising the bendable lines and revolutionise your perception of it forever. All Brighton Girls (and members of our other City Girl Networks) get a membership discount of 50% off for the first 3 months - so that's just £3.99 and you get a free book every month.